Craighead Diocesan School actively upholds its Special Character founded in Christian values expressed within the broad ethos of Anglicanism, whilst also recognising and welcoming students and families from many different denominational and religious traditions. In times of increasing change and complexity, it is vital that young people have firm foundations in their search for values and attitudes. Christian education seeks to provide a world view which challenges young people to think critically. Religious Education classes encourage students to explore Christian beliefs and to respect differences within these and other faiths to better understand themselves and their neighbours, both in the local community and in the world. Our School focuses on the needs of the whole person – spiritual, moral, emotional intellectual, social, and physical; the challenge of and commitment to service and stewardship; the love of neighbour; the experience of compassion and community, forgiveness, trust and reconciliation, integrity and courage, tolerance and respect for difference; and the pursuit of truth and justice. We begin each day with a short Chapel service. Here the teaching of the Christianity is given a modern context through story, prayer and song. Occasional Sunday evening services, with a particular focus, are held throughout the school year. Community life, reflecting events in the Church calendar in School, is enriched and strengthened by Craighead’s Special Character. We will provide a nurturing, innovative learning and living environment which will empower students to be confident, resilient and courageous contributors to a dynamic world. To provide learner-centred programmes which will further raise student academic achievement and that will inspire a passion for life-long learning. The NZ Curriculum document will form the basis of design, delivery and review of the school curriculum. Processes for self-review will be well established, with outcomes of self-review used to inform decision making in line with a culture of continuous improvement. Effective planning, coordination and evaluation of the school’s curriculum and teaching practices will include student voice. Teaching and learning programmes will meet the identified learning needs of all students, particularly priority learners. Effective and culturally responsive pedagogy will support and promote student learning with consideration of the growing multi-cultural nature of our world. Students will be challenged in their thinking with opportunities provided for them to evaluate and reflect upon their learning and to fulfil their personal academic potential. A range of learning strategies, including the use of electronic devices, will be incorporated into all curriculum areas. Cross curricula links, collaboration and authentic contexts will be fostered through focused inquiry and innovative teaching practices. Effective assessment for learning will develop students’ assessment and learning to learn capabilities. Achievement and pastoral data will be used to track and support student academic progress to inform planning and ultimately raise student achievement through targeted actions. Creative and innovative learner-centred programmes will provide opportunities for deep/rich learning, thus inspiring a passion for life-long learning. To engage constructively and confidently with the wider school community and other local, regional, national and global communities. Our school community will be proud of, engaged with and committed to supporting Craighead. All school events will reflect our culture and values, encompassing a warmth that extends to our wider community. Learner-centred relationships, good citizenship and a commitment to community service will be promoted and fostered. We will foster a commitment to diversity of religions and cultures and in particular Māori and Pacifica cultures. We will effectively communicate with the school community to keep parents informed and encourage their participation and involvement. Community collaboration and partnerships will extend and enrich opportunities for students to become confident, connected actively involved lifelong learners. We will engage constructively to form a Community of Schools cluster through a collaborative culture in keeping with MOE aspirations. Social justice initiatives and opportunities will promote tolerance, understanding and effective global citizenship. Alumni will be actively encouraged to be part of the Craighead community for life through regular communication and connection opportunities. To provide a safe and caring Christian environment in which all students can live and learn according to their needs and aspirations. The physical, social, spiritual and emotional health and wellbeing of students and staff will be of paramount importance. Our pastoral care systems will enable us to celebrate the unique talents and personality of individuals, and to develop resilience and emotional intelligence in all students. We will reflect our commitment to supporting the pursuit of personal excellence with emphasis on the nurturing of each student within a caring Christian environment. We will recognise that protecting students is everyone’s responsibility, and ensure that safety, security and welfare are a priority. Systems and processes will be consistent and integrated, whether they apply to boarding or day students. Support will be provided for each student to develop as individuals whilst at the same time learning to live with others. We will maintain and celebrate the culture and traditions that are an integral part of the boarding experience at Craighead. We will provide on-site, quality boarding facilities which nurture personal, social and academic development. Daily life and learning programmes will reflect the bi-cultural nature of New Zealand and our understanding and acceptance of the principles of the Treaty of Waitangi. To develop and empower all members of the school community so that they may contribute positively to the school and to our dynamic world. Life-long learning and personal growth through involvement, commitment and resilience in a range of spiritual, academic, sporting and cultural activities will be promoted. A strategic and coherent approach to building staff professional capability and collective capacity will be adopted to support the schools vision for learning. Challenging professional learning opportunities will be aligned to our school vision, values, goals and priorities through systematic and collaborative inquiry processes. Professional sharing and reflective practice will be encouraged and valued at every level of the school community. The sharing of best practice will be actively fostered in developing teacher expertise. Leadership capacity will be grown by fostering leadership skills at all levels and by ensuring active succession planning. A range of opportunities will be provided to empower students in their personal, social, physical and leadership development. A digital strategy will be adopted along with the provision of IT infrastructure, services and expertise to support the schools vision for teaching and learning. Digital and independent learning will be supported by an emphasis on web smart behaviour and an understanding of the responsibilities of being a good digital learner. 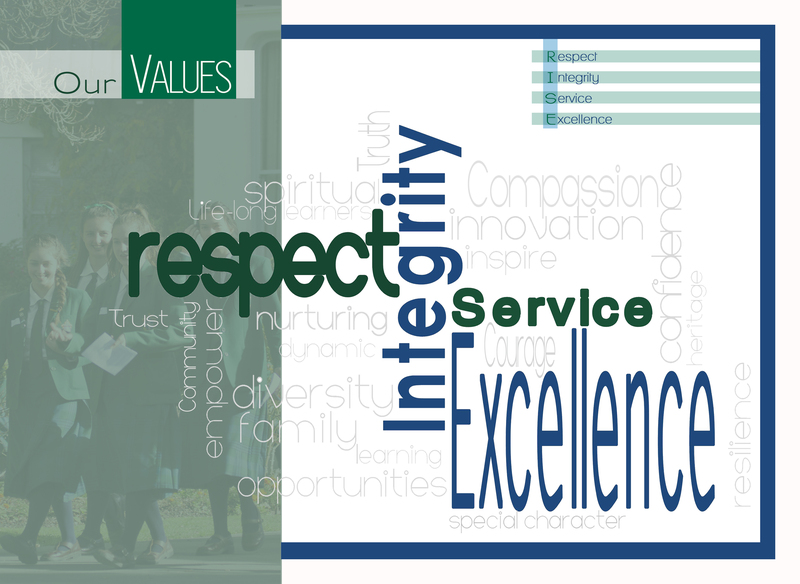 To nurture the spiritual development of all students, fostering the Christian values of respect, integrity and service. Christian values founded on the Anglican faith will be modelled by all members of our school community and embedded into all aspects of living and learning at Craighead. Christian values will underpin all aspects of school life, with every member of our school community encouraged to explore and embrace their faith. To achieve our vision, the values of excellence, respect, integrity and service will be fostered. Tolerance and empathy will be encouraged to strengthen relationships within our multicultural community. Students will be supported and encouraged to be involved with their home churches and parishes, as a means to complement the school’s teaching about Christian faith and the fostering of Christian values. We will enhance connections with the wider Anglican parishes whilst also valuing the Christian ethos of tolerance and understanding of other belief systems. To develop, maintain and effectively utilise human, physical and financial resources to support the school’s short and long term goals, in an equitable and sustainable manner. Craighead will endeavour to attract and retain suitably qualified and professionally credible registered teachers. High quality support staff will be employed. The two Boards will work together to provide teaching spaces, resources and facilities in order to cater for current and future students in a manner that fulfils our vision and enhances our school culture and special character. The provision of IT infrastructure, service and expertise will support the schools vision for teaching and learning. 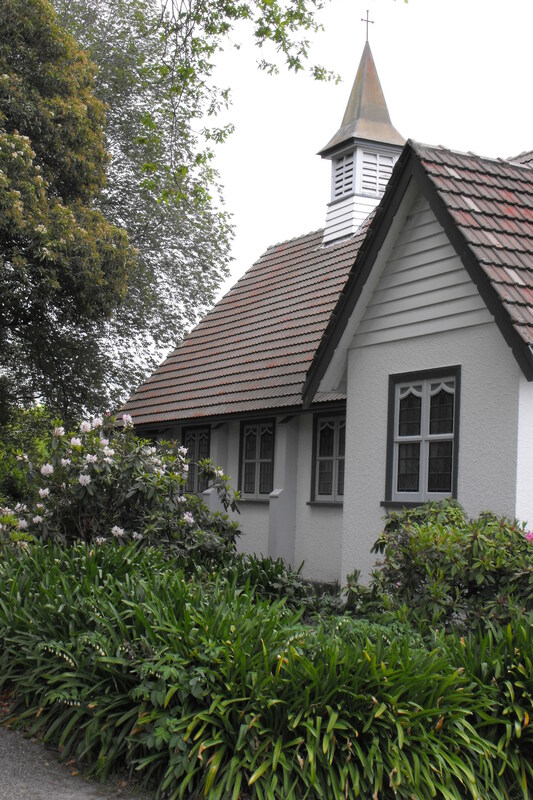 Respecting the history of the school campus, we will preserve, enhance and develop the heritage and character of the School, its buildings and its grounds. Finances will be managed in alignment with modern, efficient practices. Long term financial planning will reflect fiscal responsibility and careful management. A robust, sustainable financial model based around maximising existing funding streams, developing new initiatives and utilising prudent borrowing will be developed.